...because it's the little things that matter! I'll also have some new material to share with you! 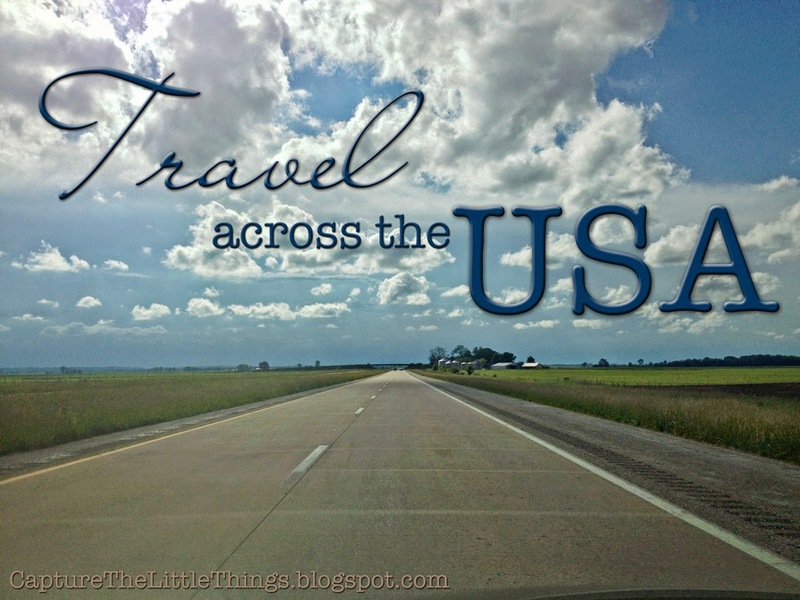 Welcome to the beginning of my new Travel Across the USA series! 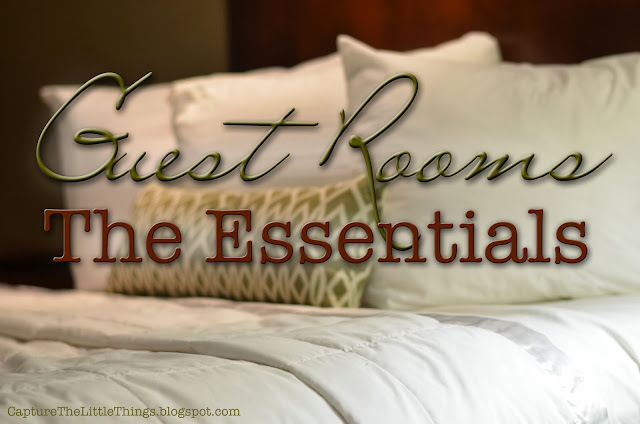 As mentioned in my post Guest Bedrooms: The Essentials, there are a few things that every guest room should have. To provide extra comfort for your guests, there are a few simple things you can add to your guest room. Obviously, the extent to which you can add amenities depends on the size of the space you have available. Remember not to over-crowd the room, you don't want your guests feeling claustrophobic; your guests will need to have space to place their suitcase and belongings. 1. Wifi With the technology of today, wifi really should probably be listed on the “essential” list. However, since one truly can live without it (shocking, I know! ), I’m listing it here under “extras”. Thanksgiving is only a couple short weeks away and Christmas four weeks later. 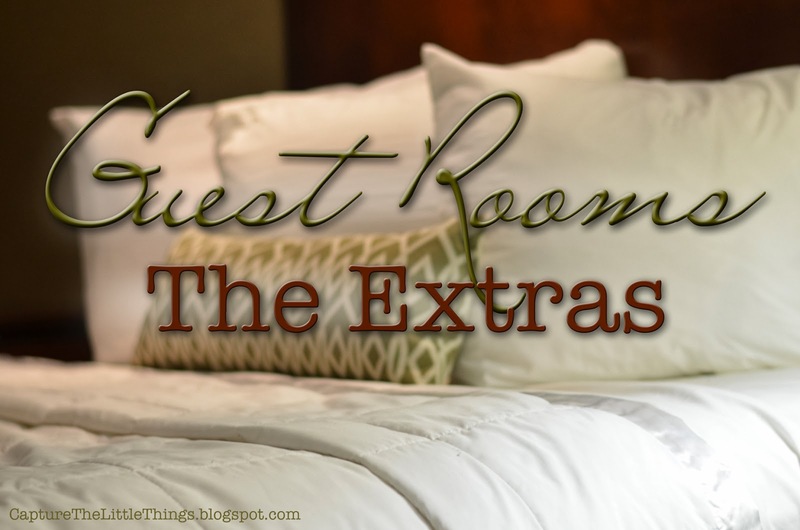 Visitors are common over these holiday seasons and everyone is making a mad scramble to get their guest room in order. A while back, our church held a "Missions Sampler". The ladies who participated each represented a missionary and their country. It was very interesting to see each of the different countries and the food representing that country. I chose to represent the country of Italy. It wasn't too difficult for me to come up with ideas since my husband's family is Italian. My in-laws had returned from a trip to Italy shortly before this time, so I was grateful to have some of their souvenirs to display on the table. Aside from the food, I also included some information about our missionary to Italy and some facts about the city in which they serve. I made some Iced Italian Cookies. As you can see, this little guy enjoyed them quite a bit! 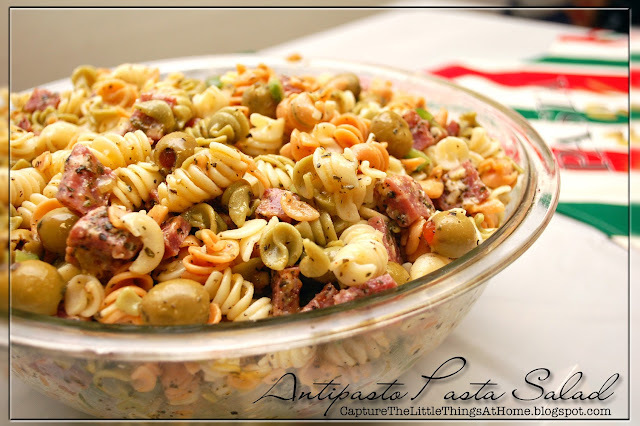 Another one of the dishes I made was Antipasto Pasta Salad - it was so delicious!! I could not find the "perfect" recipe, so I combined several and came up with my own. I must say, it turned out amazing! It's that time of the year again when things come back to life! Spring is my favorite time of the year for that very reason! I just love it!! 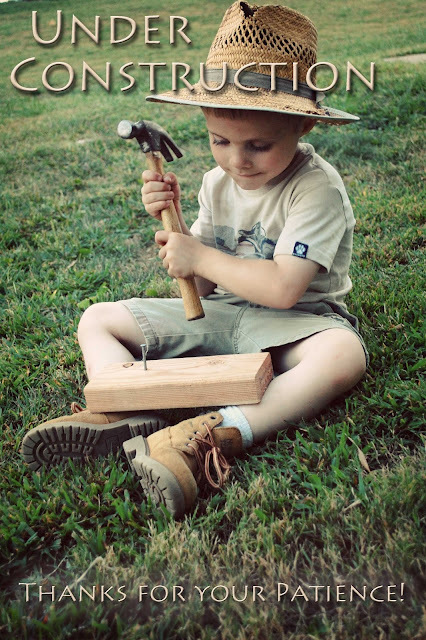 As children living in the country, we used to search all over the farm looking for new nests and little bird eggs every spring. 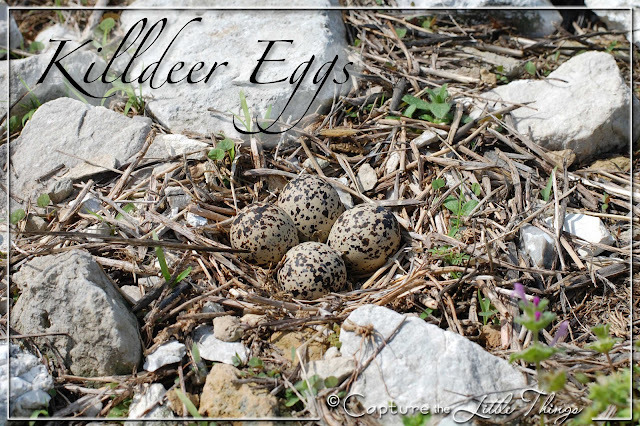 Of course, we were sternly warned not to bother the eggs in any way, but it was always such a thrill to find a nest filled with beautifully created eggs! I tried another new recipe this past week. 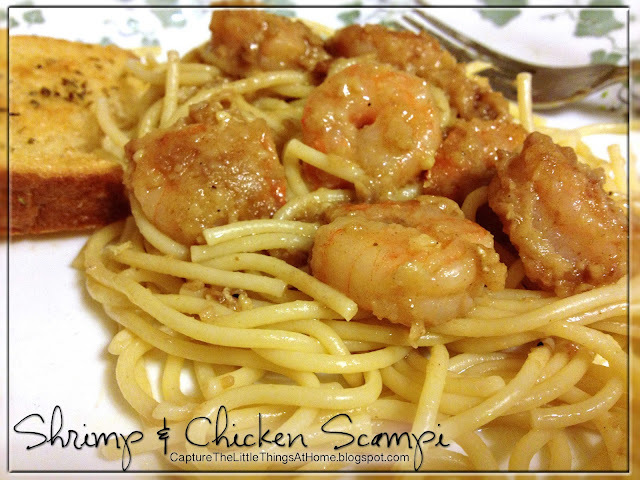 Knowing that my kids haven't learned to appreciate seafood yet, I decided to add chicken to a shrimp scampi recipe I found. I also altered a few more things about the original recipe, making my own. My husband loved it and so did my boys! As a pastor's wife and stay-at-home mom, I love spending time with my family, taking pictures of them and then scrapbooking those memories! I have a passion for organizing and homemaking!